Love these Ray-Bans! Wear them all the time. They look great, work great in the sun and gotten the compliments wearing them. Definitely recommend! 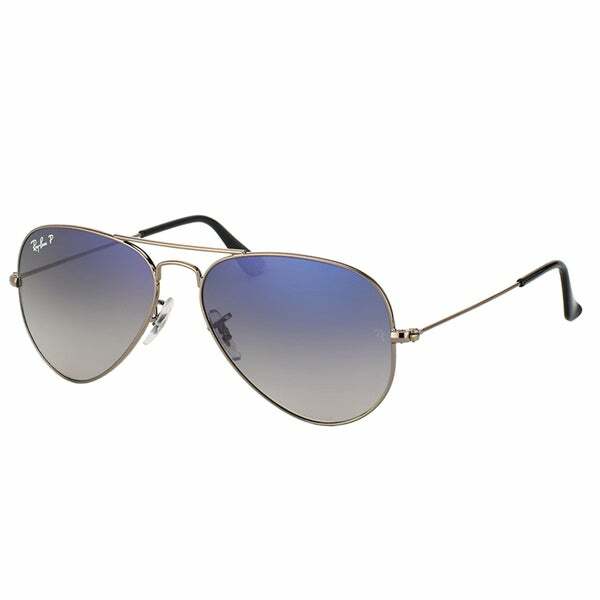 I love these aviators! These are the smaller size and they work great for my small head. I did not think I could wear RayBans because they slip off and then I discovered these. The color is gorgeous and of course they are made well. I get a lot of compliments on these. I will buy more. I love that they are polarized, that makes them even better. Very nice sunglasses, Love the lenses and the polarized view. I did however return them because the sunglasses were a bit small for my face. Overstock refunded my purchase, Thanks for the great customer service! I bought these for my girlfriend. That fit her perfect and she loves them. Light weight and very stylish! The lens are polarized and she says you don’t get much glare at all. Good purchase ! Great product, exactly as description says. I wasn’t 100% about ordering these as I love my glass G15 lenses, but the color is great and the polarization makes it all worth taking the chance on them! Great pair of sunglasses. Very comfortable & stylish. Highly recommend them. Love love love these glasses!!!! I wear them everywhere I go and they go great with every style! I have not had any problems with the glasses and they are great quality. Fit my face perfectly....love the lens color!! The sunglasses actually fit my face perfect. They don’t fall off or hurt your ears. I like the aviator glasses, only problem was these were way to small for even my small face. I love the glasses though, just needed a different size. Love these! They are the real deal and fit my face perfectly. Perfect fit for anyone with a smaller face/head. "Are these lenses blue/gray gradient? It says both crystal gray and gray gradient lenses in your descriptions"